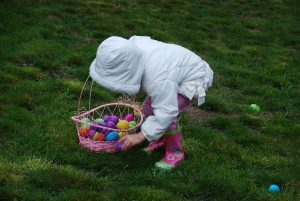 Holiday fundraisers present unique opportunities for booster clubs; however, Easter is an exceptionally strong holiday for these activities as people are now excited to get outside. At booostr.co, we’ve compiled eight fundraiser ideas to welcome the season with a strong booster club campaign. We’ve even given several ideas that can be enacted from the comforts of home. Let’s begin! First, locate an area for your egg hunt. A large backyard or park works well; however, if you reside in a dense urban environment, then don’t discount hosting an indoor gathering. A gym or classroom will do. Maybe search for glowing eggs in the dark, or make participants hunt for eggs with one eye masked. Jump in a pool, and challenge people to a daring underwater egg search. There are many ways to spice up the traditional egg hunt! Second, it’s time to invite all your friends and family to participate. Creating a Facebook invite can be an effective way to reach people and gauge interest. You can also learn how to use Facebook ads for you fundraiser here. Third, think about charging around $10 dollars for admission. But lift the reluctant faces by advertising that one egg – the golden egg – is a prize so grand that the chance of finding it is absolutely worth the price of admission. Place a gift card worth 30 – 50 dollars in the golden egg. 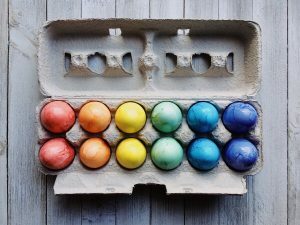 Fill the rest of the eggs with small trinkets or bits of candy. To make the day fun for all, have several hunts planned. One for the kids, one for the teens, and one for the adults – everyone can get involved! Car washes are a proven fundraiser. People want their cars clean. 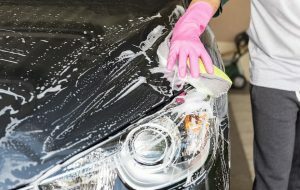 According to carwash.com, the car washing industry rakes in upwards of 15 billion dollars a year. Which makes this a market worth tapping into. 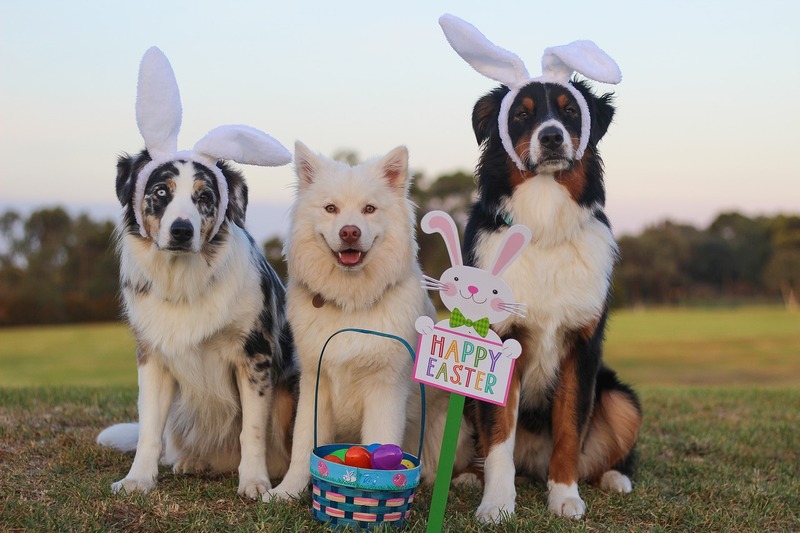 For an Easter twist, have all participants wear bunny costumes. If it’s warm outside, maybe this costume would consist of wearing simple rabbit ears on your head and a fluffy tail on your bum. In colder weather, think full body bunny suit! Either way, you will get laughs and plenty of cars lining up to be cleaned. Pricing for the car wash will depend on your area, but charging between 10 and 20 dollars is usually a fair range. For more information, be sure to check out our article on effective booster club car wash fundraisers here. Does anyone in your booster club have a knack for cleanliness? Easter means family reunions and social gatherings. 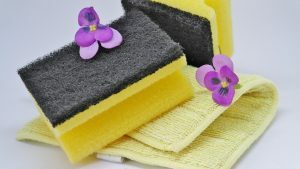 These events bring much-needed spring cleaning. Some people love tidying up their home at the change of seasons, but many are less than motivated. Use this opportunity to launch an Easter fundraiser in the cleaning department. Some people are good at organizing kitchens and bathrooms, others are talented yard-workers. Once you’ve gathered the necessary volunteers, advertise your services to everyone in your circle. You can charge a fee based on the job size and type of property being cleaned. Not only will people be pleased with a tidy home, but they’ll be happy donating to your noble cause. Lights. Camera. Garage sale. Continuing with spring cleaning as a fundraiser, a garage sale is a win-win. You clean out your home and hungry shoppers can devour your treasures. This activity can be performed in multiple ways. 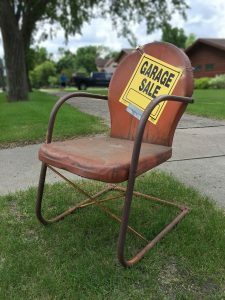 First, think about doing a co-op garage sale. Choose the person on your team with the best location and combine your treasures into one big sale. To put a twist on the standard garage sale, have someone standing near the road advertising your gig wearing (you guessed it) a bunny suit! This is bound to draw attention to your holiday fundraiser, and dancing in a bunny outfit allows your teenage volunteers a chance to relieve pent up stress. To purchase a bunny costume for all your Easter fundraising needs, check out these options on Amazon. Make original lemonade, with a real recipe. You can find a variety of recipes online. Skip the bulk lemonade and give your patrons a true lemonade experience. Give them a large cup. 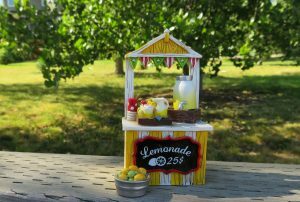 Lemonade stands can be a frustrating experience for people. Think about it, they give you their hard-earned four quarters, and you hand them back a warm 6 oz cup of lemon water that contains just enough liquid to dampen their tongue. Not cool. Lot’s of ice – make the lemonade truly refreshing! Finally, charge your customers based on size. $1.00 is typical for an average size. Charge $3.00 for an extra large, but give it a catchier name, like The Ultra Quencher, or Monster-ade. Make it your mission to bring the kid out of everyone with this Easter fundraising activity. For this booster club fundraiser, you need egg coloring kits, and lot’s of hard-boiled eggs. Have the kids work with their parents. Once people are finished, let everyone vote for the top three eggs. Consider charging $5.00 for entry, and emphasize that there are prizes for the winners. Prizes excite people, however minuscule they may be (maybe a cold glass of Monster-ade!). At the beginning of this article, we said we’d include unique fundraiser ideas that can be done from home – here’s one of them. Things go viral on the internet every day. Silly videos, silly memes, silly everything. 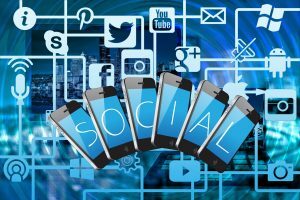 The popularity of social media makes this a great platform for your Easter fundraiser. Think of a creative idea related to your holiday fundraiser and post it all over the web. Encourage everyone to share it with their friends. Maybe post a video of someone trying to juggle real eggs. Tag a friend and challenge them to try. If they can’t juggle the eggs for at least 30 seconds, then they must donate $5 to your Easter booster club fundraiser. 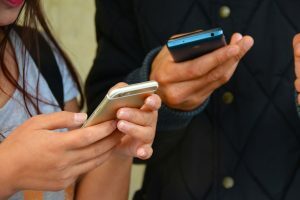 For more information on using social media to benefit your booster club, see our article How To Run A Successful Booster Club Instagram Account. Many people simply don’t carry cash. This can present a problem for your booster club. There are those who’d like to give, but don’t have money on them. Never fear, text to give is here. This is a very versatile option for your fundraiser as people always have their phones with them. Often, when handing out flyers for your egg hunt or inviting people to your garage sale, people will say they can’t make it. But they still want to support the cause. Now you have an easy option. Just give them the number and keyword to text, and voila – you haven’t lost any supporters! Check out some of the different text-to-give options here. After reading these Easter fundraising ideas, hopefully you’ve gained inspiration and motivation for planning your booster club fundraiser. This holiday provides a unique opportunity to combine good times with a strong campaign. This Easter season, be the booster club who puts the “fun” in fundraising.